Founded in 1987 and incorporated in the State of New York as Nyack Electric of New York, Inc. In 1992, Bernadette S. Jeronimo purchased this existing company, which was renamed JCF Electric, Inc.
Ms. Jeronimo’s personable style and thorough understanding of the industry has enabled her to maintain long-established relationships with private owners and municipalities, many of whom are JCF’s repeat clients. JCF core business has been the interior installation of electrical power and lighting systems tailored for each project based on the specific needs of our clients. Our experienced and diversified staff enables us to perform well on both small and large projects, while expanding JCF’s client base without sacrificing the quality of our services. 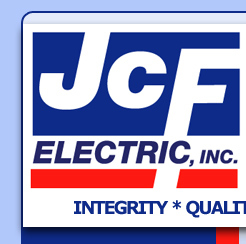 At JCF, we pride ourselves on being the company to work for… and… to work with.